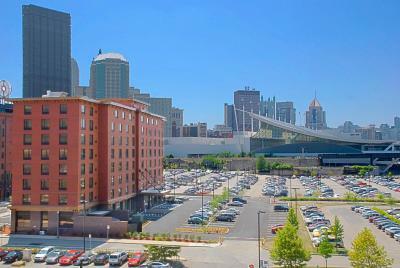 Lock in a great price for Hampton Inn & Suites Pittsburgh Downtown – rated 9.1 by recent guests! That you didn't have to pay extra for parking! Loved the fact that Beverly remembered my name from my last visit! She made it very personable and memorable! Such an awesome trip every time I come! I’ve been twice and I see many more in my future! Wet clean and great staff. You can get coffee round the clock. Walking distance to almost everything and it’s right around the waterfront. Everything was either an 8 minute drive or 15 minute walk. It was a short walk from everything we came to see. The hotel has a great aesthetic and a decent breakfast buffet for the price. The elevators were always quick even in their busiest times. The pool is also open until midnight, which is great because I remember getting kicked out at ten or eleven from most other places. It was a great stay! It was in walking distance of the convention center and many other places. They were able to put a mini fridge in our room when I asked for one. This hotel is right near the strip and convention center. It is very clean and the staff is great! We loved the location since it is not in the middle of it all but close enough to get where you want to go. The room was huge! We had a queen suite and it was more than enough room for my family of 6. The beds were very comfortable! Staff is very helpful and friendly. The room was very clean and comfortable. Hampton Inn & Suites Pittsburgh Downtown This rating is a reflection of how the property compares to the industry standard when it comes to price, facilities and services available. It's based on a self-evaluation by the property. Use this rating to help choose your stay! 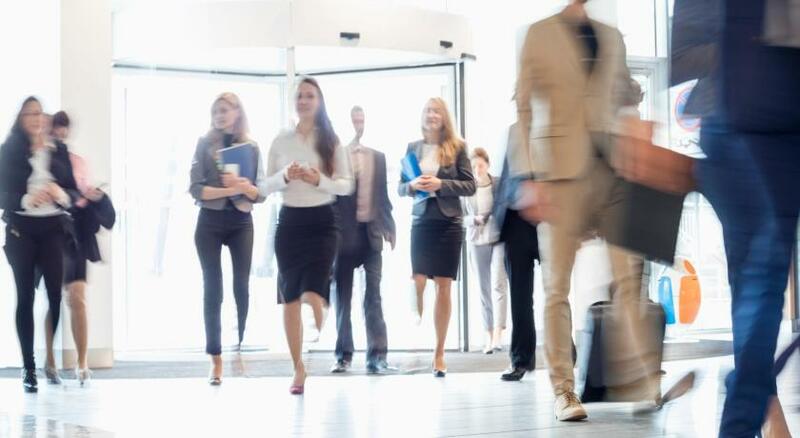 One of our top picks in Pittsburgh.Surrounded by museums, gardens and entertainment in downtown Pittsburgh, Pennsylvania, this hotel offers a convenient location near a variety of attractions as well as enjoyable amenities. Hampton Inn & Suites Pittsburgh Downtown is just minutes from the Frick Art & Historical Center, which is a 6-acre complex of museums, historic homes and lavish gardens. Kids will love Kennywood Park, a nearby vintage amusement park. Guests staying at the Pittsburgh Downtown Hampton Inn & Suites will enjoy an indoor swimming pool and exercise center. The hotel's free hot breakfast is a great way to start the day, and the Suite Shop convenient store is available for snacks throughout the day. When would you like to stay at Hampton Inn & Suites Pittsburgh Downtown? This room features cable TV, ironing facilities and a coffee machine. This studio suite features a large area, sofa bed, microwave and fridge, and a larger TV. Welcome to Hampton Inn & Suites Pittsburgh-Downtown, located in the historic strip district in Pittsburgh. The Senator John Heinz History Center is just across the street and is a block from David L. Lawrence Convention Center. While you are here, enjoy our complimentary WiFi and breakfast. House Rules Hampton Inn & Suites Pittsburgh Downtown takes special requests – add in the next step! Hampton Inn &amp; Suites Pittsburgh Downtown accepts these cards and reserves the right to temporarily hold an amount prior to arrival. Hampton Inn & Suites Pittsburgh Downtown accepts these cards and reserves the right to temporarily hold an amount prior to arrival. That there was sawdust in the bathroom on the floor and that the desk was broken where the staff took my credit card # , I wouldn't want to be blamed for any problems. When checking my room over before I left, I checked under my bed. Cleaning crew may want to hit that. There were old empty cans and old food under the bed. This can cause issues for you as a business with bugs. Bed was comfy. Room was clean. I only wish that the room had a refrigerator. We had to throw out some of the food we brought because there was no place to keep it. I’m honestly having a hard time coming up with something I did not like. We thought we were getting a suite with a pull out for our little one. We were woken up by a fire alarm around 7am. No refrigerator or microwave in the room. I have back issues so the beds could have been firmer for my needs. Beyond that, the room was spacious and well maintained.